Looking to plan the perfect golf trip to Los Cabos, Mexico? Planning a buddies trip or a romantic golf getaway can be a full time job not to mention pressure filled to deliver a memorable experience. 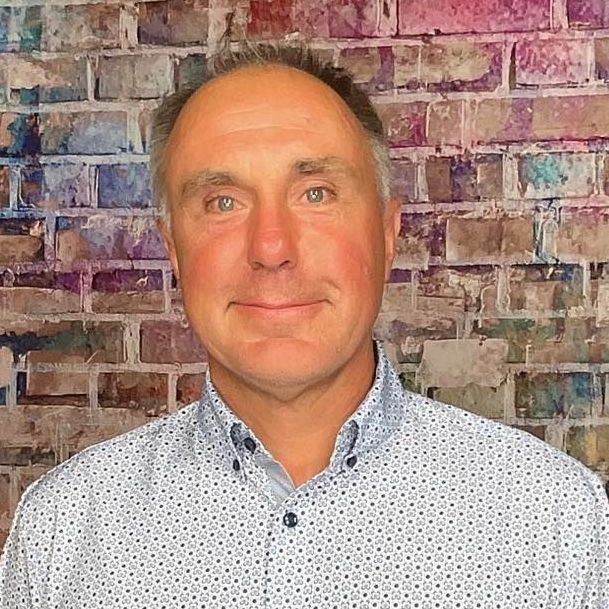 Below is an interview with Brian McCallen, Golf PR, Los Cabos Tourism Board who shares some insider information about golfing and traveling to Los Cabos, Mexico, must play courses, a sample itinerary and where you can go for more planning tools. Situated at the place where the Sea of Cortes meets the Pacific Ocean, Los Cabos boasts an extraordinary mountain-desert-ocean environment where the game's top designers have crafted some of the world's finest courses. Only here do verdant fairways drop from cactus-studded foothills to golden beaches and the deep blue sea. With four courses on Golf Digest's latest "World's 100 Greatest" list and five of the top six venues in Mexico based on the publication's "Planet Golf" report, Los Cabos is the undisputed golf capital of Latin America. There's more. The golf landscape in Los Cabos is expanding. While most international golf destinations are status quo or shrinking, Cabo has a handful of new projects underway that will further solidify its reputation as a must-play getaway within easy reach of major U.S. cities. Led by stellar 4- and 5-star beachfront hotels (with more on the way) and complemented by an array of off-course adventures, Los Cabos has established itself as a hot spot for avid players in search of an exceptional golf experience. Add 340 days of sunshine and cooling sea breezes, and Los Cabos emerges as a safe, fun-filled getaway unique to itself. Cabo, in sum, has what everyone wants. Perfect weather. Great hotels. Superb dining. Technicolor sunsets. Dawn-to-dusk nightlife. And the friendliest welcome in Mexico. What are the must play courses in Los Cabos, Mexico? 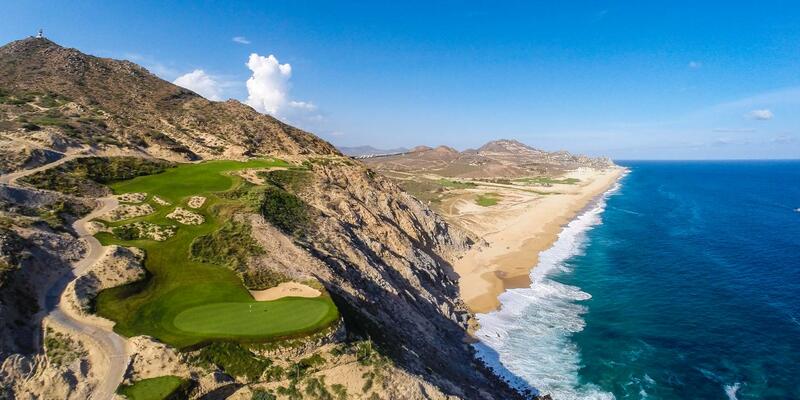 Quivira Golf Club - Grafted onto a jaw-dropping site marked by huge dunes, sheer cliffs and rolling foothills, the Jack Nicklaus-designed course at Quivira, opened to acclaim in 2014, has more oceanfront exposure than any other course in Cabo. Remember those fantasy golf calendars with far-fetched holes airbrushed onto vertical cliffs? Quivira has a few of those. It also has twisting arroyos, acres of cactus, lots of rocks...in sum, a little bit of everything Cabo has to offer. The drive to the fifth hole, which traces a switchback route up the side of a mountain, climbs to a vertigo-inducing tee perched 275 feet above the foaming surf. At under 300 yards from the forward tees, this downhill par 4 can be driven, but it's 'hasta la vista' if you miss the rock-walled, cliff-hanging green. The par-3 sixth, its concave green carved from the base of huge stippled dune, is equally dramatic. After swinging near an historic lighthouse at true Land's End, the layout weaves through the dunes and returns to the cliffs at No. 13, a short par 3 that plays over a yawning abyss to a midget green set atop a pinnacle of fissured granite rising 100 feet from the surf. Arguably the most daring, eclectic course Jack has ever built, Quivira is an aesthetic tour de force and an unforgettable test from any set of tees. Cabo del Sol (Ocean Course) - With seven holes fronting the Sea of Cortes, the Ocean Course at Cabo del Sol, opened in 1994, is the course that placed Los Cabos squarely on the international golf map. Intent on producing the 'Pebble Beach of the Baja' on what he described as "the best piece of golf property I've ever seen," designer Jack Nicklaus charted grand-scale holes across gently sloping terrain creased by sandy arroyos and backdropped by rugged mountains. Giant cardon cacti, craggy granite outcrops and deep sculpted bunkers frame the fairways and greens, while the ebb-and-flow routing brings players to the sea on both nines. Very little earth was moved to create this world-class layout, which at full stretch (7,111 yards, par 72) presents a test for the best, especially when the sea breeze stirs. Cabo del Sol completed a major bunker restoration last year under the guidance of Nicklaus Design to bring the strategic elements of the Ocean Course into sharper focus. This seaside masterpiece is worth crossing a continent to play. Chileno Bay Golf & Beach Club - Occupying a prime location within the Los Cabos corridor, Chileno Bay is a 1,200-acre resort and residential community fronting a coveted 2.5-mile stretch of protected swimming beaches on the Sea of Cortes. 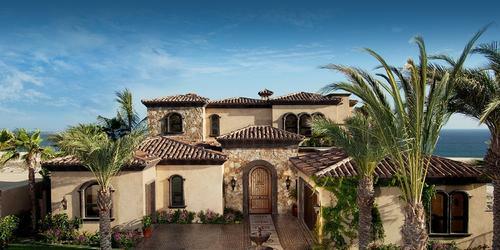 The development's centerpiece is a superb layout built by Tom Fazio in rolling desert foothills high above the sea. Each hole on the 7,260-yard course has graceful, flowing landforms intended to simulate rolling ocean waves. A brilliant test framed by large sculpted bunkers, broad sandy arroyos, hillsides of colorful plantings and groves of palo blanco trees, Chileno Bay features a pair of back-to-back par 5's at Nos. 6 and 7 as well as a "drivable" short par 4 at No. 8. The back nine builds to a crescendo at the long par-4 18th, which drops sharply to an infinity-edge green. This otherwise-private club, always in immaculate condition, is accessible to guests of Chileno Bay Resort & Residences. Club Campesre San Jose - Tucked in the rolling foothills of the Sierra de la Laguna Mountains 15 minutes from Los Cabos International Airport and just five minutes from San Jose del Cabo, the Nicklaus Design daily-fee course at Club Campestre San Jose anchors a 550-acre master-planned community. The layout's fairways, carved into sloping desert terrain, offer players excellent views of the Sea of Cortes. Vast sandy waste areas, giant bunkers and sinuous arroyos that snake across the fairways call for sound tactics and course management. In addition, Campestre's greens, among the most liberally contoured putting surfaces in Los Cabos, can be very challenging depending on pin placement. Among the feature holes is the risk-reward par-5 seventh, a double-dogleg that plays to a well-bunkered peninsula green that juts into a pond. Campestre's longer, tougher back nine ascends to higher ground, circulating players around a rolling desert plateau high above the sea. The par-5 17th, at 606 yards the longest hole on the course, brings a deep pot bunker in the center of the fairway into play, with an arroyo angled in front of the elevated green. Always in top shape, Campestre showcases the raw natural beauty of the Baja California desert. It also represents good value. Day 1 Arrive. Stay at Sheraton Grand (Hacienda del Mar). Play Cabo del Sol's Desert Course, an underrated Tom Weiskopf-designed course with stellar ocean views. Dinner under giant beachfront palapa at Pitahayahs. Play Ocean Course at Cabo del Sol. Enjoy a complimentary fish taco at the turn. Lunch on open-air terrace at Cabo del Sol. Whale-watching or sunset cocktail excursion in afternoon. Dinner along the marina in downtown Cabo San Lucas. Play Club Campestre. Head to airport. Excellent duty-free shopping (especially for tequila) at airport. Fishing - Nicknamed "Marlin Alley," Los Cabos is a sport fishing capital nonpareil--more big-game fish are caught here than anywhere else in the world. Catch and release is the general rule for billfish. Blue and black marlin season runs from June through December. Striped marlin are plentiful year-round. Sailfish are taken from April through October. Tuna, dorado, wahoo and roosterfish are among the prized species that swim in Cabo's nutrient-rich waters. In addition to deep-sea fishing, inshore fishing is popular on pangas, a 22-foot Baja skiff. Eco-Adventures - The whale watching season in Los Cabos--December through March-- marks the arrival of hundreds of whales that migrate from the frigid waters of the Arctic Ocean to the warm, calm waters surrounding the Baja Peninsula. Balmy weather, ideal salinity and abundant marine life makes the bays and lagoons around Los Cabos the perfect place for whales to birth and rear their young. Of the eight species that venture to Cabo, the most popular are the humpback whales, which spout close to shore and thrust themselves out of the water in fantastic leaps. 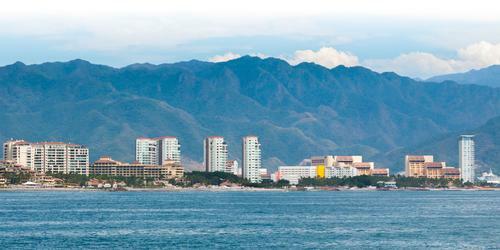 Whale-watching excursions are available from the Cabo San Lucas marina. Landlubbers can enjoy guided desert hikes, outback camel safaris, beach horseback riding, desert jeep tours, ATV excursions, mountain biking, rock climbing and bird watching. Water Sports - In addition to snorkeling, parasailing, surfing, windsurfing, sea kayaking, paddle boarding, sailing and swimming, Los Cabos boasts the best scuba diving on Mexico's west coast. In addition to pristine offshore sites, the world's only sand falls are found 90 feet below Pelican Rock at El Arco, the iconic rock formation at Land's End. These unique underwater sand accretions were discovered by the late French explorer Jacques Cousteau, who described the Sea of Cortes as "the aquarium of the world." November through April. Warm sunny days, refreshingly cool nights. 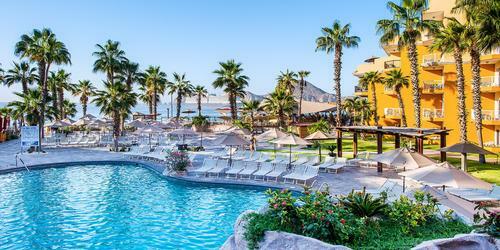 Anything else you would like to share about the Los Cabos, Mexico? Situated at the tip of the 1,000-mile long Baja Peninsula, Los Cabos is home to award-winning hotels and resorts, with all the top luxury brands represented (new Ritz-Carlton and Four Seasons hotels will open in 2018-19). With a unique landscape of dramatic desert and dazzling beaches, Los Cabos is an exotic, exclusive escape within easy reach of most U.S. and Canadian cities.